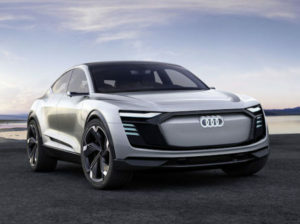 The Audi e-tron Sportback is based on the concept shown at the Shanghai Motor Show in April. Audi has confirmed production of its e-tron Sportback will start at its Brussels plant in 2019, marking its second electric car. The new model will be produced alongside the Model X-rivalling e-tron electric SUV, which launches in 2018, and is based on the four-door gran turismo concept unveiled at the Shanghai Motor Show in April, which showcased the carmaker’s new electric drive set-up, providing 429bhp in an all-wheel drive layout, with one electric motor on the front axle and two on the rear. A further Audi EV is due before the end of the decade under the carmaker’s plans to launch one EV a year from 2018. 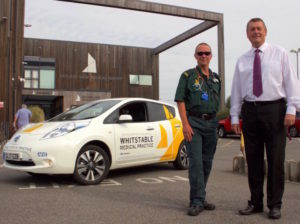 Paramedic practitioner Patrick Kember and Baileys Nissan dealer principal Terry McCabe with Whitstable Medical Practice’s Nissan LEAF. Whitstable Medical Practice has taken delivery of a Nissan LEAF for its new doorstep care service. Intended to free up GP time and aid patients during the winter months in case they can’t attend appointments, the vehicle is available for use by three paramedics and is kitted out with medical equipment, including a portable ECG machine and a GP-linked computer system to send information back to surgery in real time. Some 64% of 1,400-plus survey respondents said they supported a diesel scrappage scheme, compared to 27% who did not. 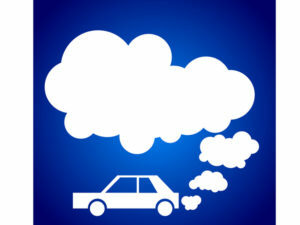 Around two-thirds of UK road users would support a scrappage scheme for older diesel cars, vans and lorries to help reduce air pollution, according to a survey by IAM RoadSmart. However those surveyed felt the driver as an individual also has a responsibility to drive in a more eco-friendly manner. Some 75% agreed that encouraging drivers to change their driving behaviour should play a part in the government’s approach to tackling air quality. Only 3% of respondents said they were confident that the proposed government measures would solve the air quality problem quickly.